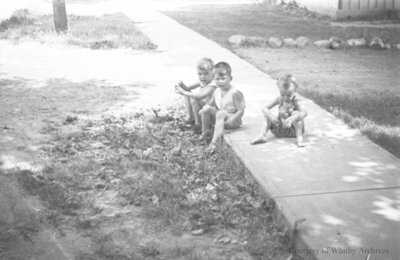 A black and white negative of three unidentified children sitting outside on a sidewalk. Unidentified Children, July 1936, Marjorie Ruddy. Whitby Archives A2013_040_212C.